Since we launched the Global Environmental Opportunities Strategy (GEOS) at Essex Investment Management over six years ago, we have been constantly reminded by industry peers, prospects, friends, and family that we are “very well positioned.” My co-manager, Rob Uek, and I frequently laugh that we would be at asset capacity if we had a nickel for each time someone has exclaimed, “You guys are in the right space.” Or, “I am really intrigued with your fund.” We hear these comments frequently in social settings, and do know they are stated with the best intentions. Fact is, intrigue does not pay college tuition. I have dedicated the bulk of my professional career to some form of ESG investing. The idea for GEOS was formulated back in 2006 after (AB) 32 passed in California, with regional cap-and-trade markets emerging. I met with senior management of Siemens that spring, and over lunch, we talked of the long-term business opportunities that would be unleashed as economies strove to lower their carbon intensity. After a Ceres event at the UN, and seeing that large pensions such as CalPERS were funding clean technologies, I set out to design and implement what I believed then, and still do now, is the optimal solution for environmental investors. I wanted to bring environmental investing to the extreme—to hold companies for the long term and invest thematically in related environmental industries that by my definition are clean-technology focused. My influences for this design were from the sustainability and environmental circles, rather than those of finance. 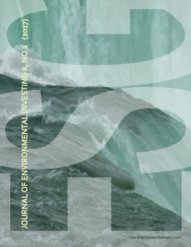 I studied and spoke with Robert Repetto, who was very early on to the need to internalize environmental externalities as a cost to business. I used some of Bob’s early work with asbestos litigation to model carbon as a cost to business. I spoke with Matthew Kiernan, the founder of Innovest, on his theories and models of valuation from beyond the financial statements to below the water line of the proverbial iceberg. When I read the IPCC reports, and saw the work of Robert Socolow of the Princeton Environmental Institute, coupled with the Stern Review, all influences pointed me to a thematic approach to environmental investing. I developed nine climate-change mitigation and adaptation themes, all interrelated, allowing asset owners exposure to most of the economic sectors of the economy. GEOS offers a liquid alternative, or complement to direct cleantech exposure. By our definition, there are about 600 companies that are publically traded and liquid, providing at least 25% revenue exposure to at least one of our GEOS themes. We believe the best expression of our investment philosophy is with smaller market-capitalization companies, as they have full focus on clean technology development. Asset-owner interest in cleantech investing has been waning of late, despite indications that the catalysts for “doing more with less” are not abating, but are actually strengthening. The world is facing an energy paradox: Countries need enormous amounts of energy to support economic growth, even as this growth threatens the health of their people and planet. The energy problem facing the world today is no longer where to find energy sources, but how to power society as cleanly and efficiently as possible. Although global energy consumption is already transitioning toward less carbon-intensive sources like natural gas and renewables, truly solving this energy challenge calls for a complete transformation of how we produce, distribute, and consume energy. I improperly assumed at the time that Macondo, Fukushima, and Hurricane Sandy were tipping points, yearly-reminders that the urgency for scaling appropriate energy was growing shriller. Alas, as UNPRI and the Investor Network on Climate Risk (INCR) signatories have reached new heights with increasing commitments on the part of asset owners, little has been done in the way of listed-equity investment. At this time, we see unprecedented opportunity, as the fundamentals grow stronger with currently fair valuations. We believe cleantech will continue to grow, as many segments such as LED lighting and solar power surpass incumbent technologies in costs and efficiencies. We have been vocal over the past few years that companies are investing in these technologies because they can lower business risks while achieving strong returns on capital. By investing in distributed technologies such as solar power, companies know and control their costs for the life of the asset, often over twenty years. While clean technology can exist without subsidies, government support is one catalyst that strengthened this past week, with progress from Paris at COP21, and significant extensions of domestic investment tax credits for solar power and production credits for wind power. We have seen more support for cleantech in the past two weeks than was experienced over the past five years. We have consistently managed GEOS over the past six years, to our unwavering investment philosophy. The expression of this investment process has been with consistently smaller companies, which we have held as investors, with low portfolio turnover. At this time, as asset owners cry for scalable investments to meet climate-change goals and aspirations, we can only point to the listed-equity markets. Listed-equity cleantech equities are liquid, with less technology risk that that of private equity. It is scalable, with business models that have been in place for decades in many cases, representing technologies that were invented in some cases forty years ago and reaching commercial viability today. It is time to move beyond intrigue to investment action. Bill Page is a Portfolio Manager on the Essex Global Environmental Opportunities Strategy (GEOS) and directs environmental investment policy and research for Essex. 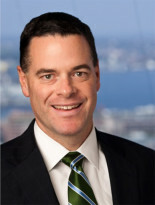 Before joining Essex in 2009, he spent eleven years at State Street Global Advisors (SSgA); worked in product management for Wellington Management Company, LLC; and worked for Fidelity Investments in asset allocation. During business school, Bill worked on socially responsible investment research at KLD Research & Analytics. He earned a bachelor’s degree in economics from Boston University and an MBA from the F.W. Olin School of Business at Babson College.